After climbing Mt. 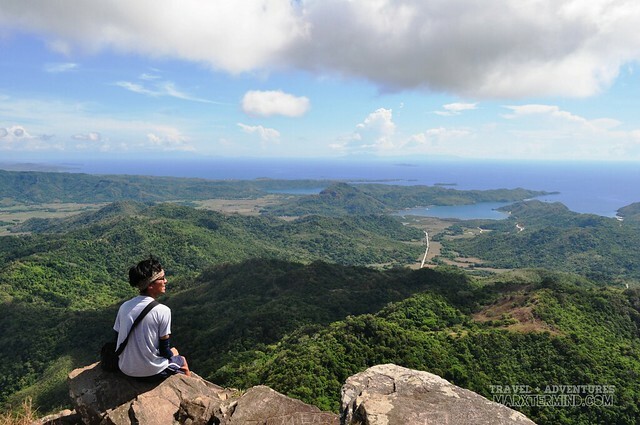 Gulugod Baboy in Batangas, I told myself that I won’t go to any trek again soon but that got broken when my friend, Robbie invited me to join his group for a day hike to Pico De Loro. 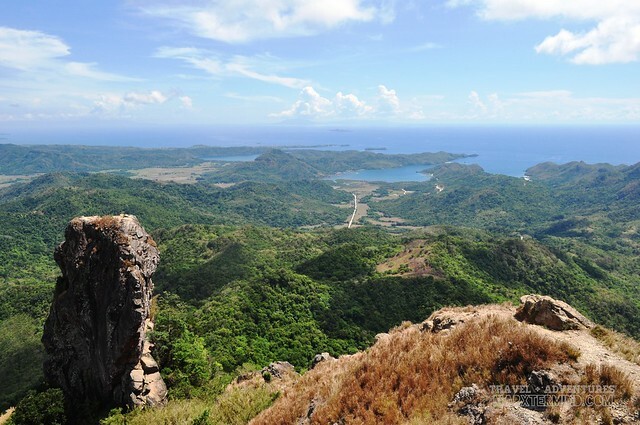 I admit it was an irresistible invite because I had been wanting to climb Pico De Loro since the day I saw photos of it online. Who wouldn’t want to have a nice picture on top of that monolith? Yes, that single upright block of stone can be climbed but climbers have to make extra effort and courage to get on top. 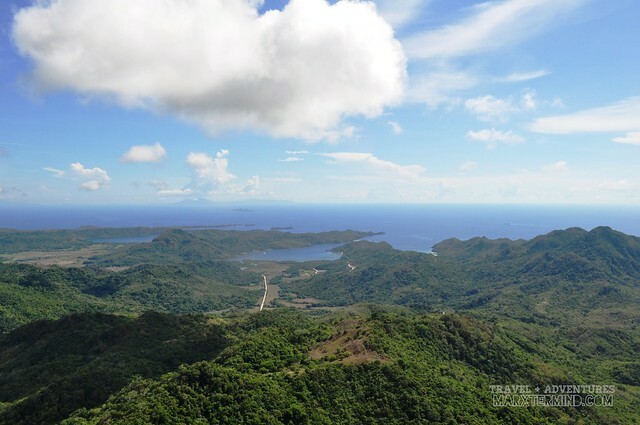 How to go to Pico de Loro? 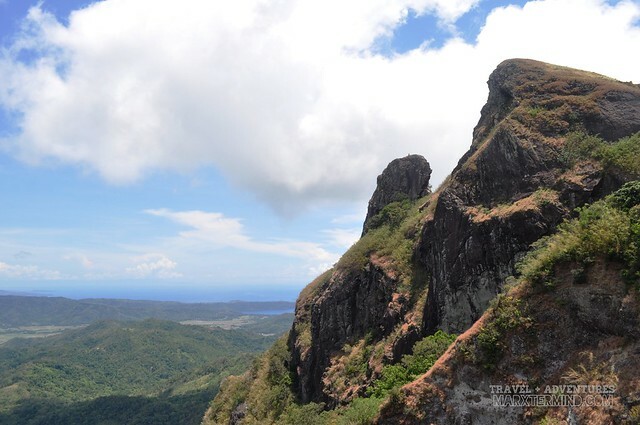 Pico De Loro, also known as Mt. 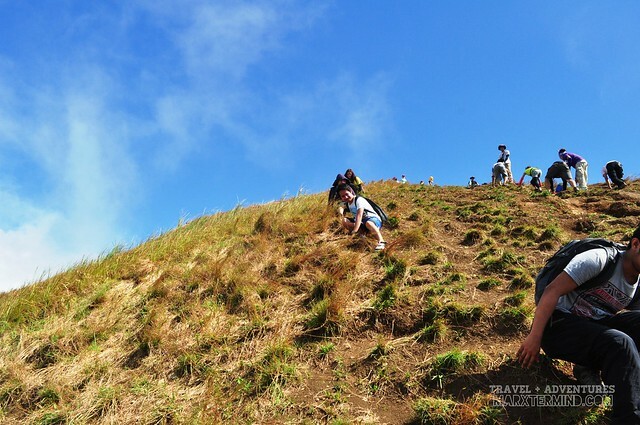 Palay Palay is a minor climb with a difficulty of 3/9. The mountain is in Ternate, Cavite. Its summit can be reached by hiking for 3 to 5 hours. Our group left Metro Manila at around 7:00 AM. We were a group of 11 so we hired a van, which is more practical and convenient to take us to DENR Magnetic Hill in Ternate, Cavite. We arrived at the drop-off point ahead of our schedule. We rested for a while first and prepared our things that we needed to bring and left some inside our van. We then registered and paid the fees. It was around 9:00 AM when we started trekking. Since Kaiz joined as too, we didn’t hire a guide anymore. 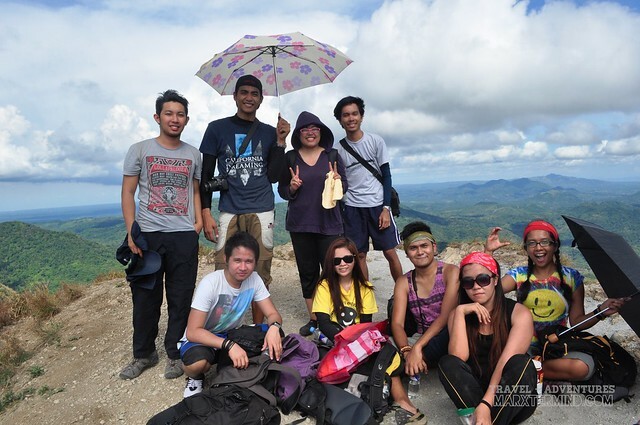 She had been to Pico de Loro already so she automatically became our guide. It was already an hour since we started our trek when we reached Base Camp 1. The group decided to have our lunch here. Each of us brought packed lunch. Most of us have meals bought from fast food. I supposed that’s how a packed lunch is for beginners. Please do note that Base Camp 1 will be the last area to have a decent place to eat and get drinking water. Bring sufficient water, at least 1.5 litres of drinking is enough for a day hike for me. When everyone’s already settled, we decided to resume our trek. 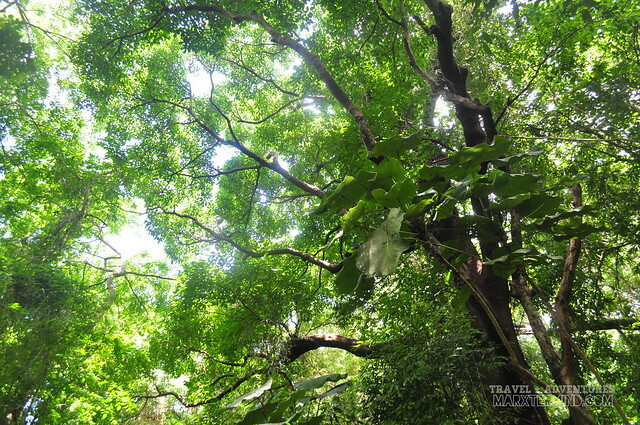 What I like about Pico de Loro is the abundance of trees. 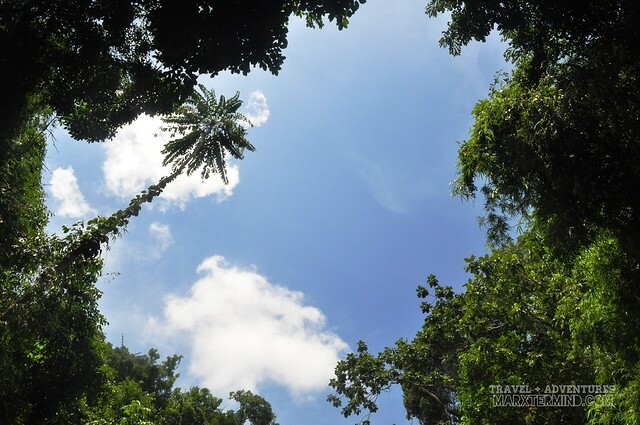 The trail is in the middle of the forest offering us great sights and green surroundings as we ascend. If you know me so well then you know that I love trees. Although trees are lovely, trees are also home to animals and other species so be attentive as these can also harm you. Don’t carve anything on the branches, don’t make too much noises, don’t get or throw anything along the trail as these will disturb the nature. As what the famous saying goes leave nothing but foot prints. The trail was up and down, which made it also difficult for us to hike. 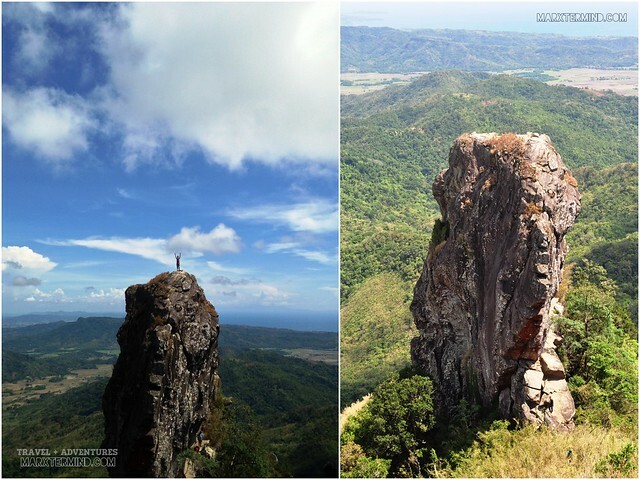 But because of this, Pico de Loro became a favourite destination for professional climbers. 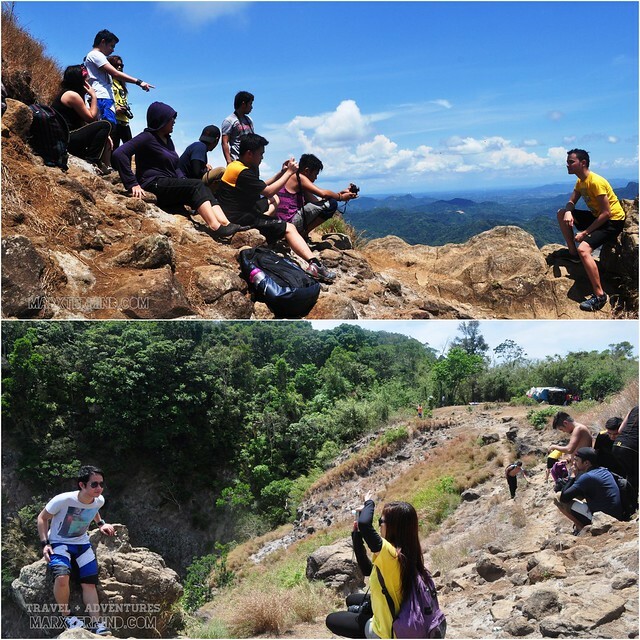 They usually practice here and trail run in preparation for a serious and more challenging climb. But I couldn’t imagine myself running through the trail. It’s a demanding activity so these climbers and trail runners really do take precautions to avoid painful injuries like shin splints. We also made some stops along the trail. Some of the group took longer and there were some who were so competitive that they only took short breaks and started the hike again. But I don’t recommend taking long breaks during the climb as this will only make it feel harder to continue. I also heard that sitting immediately while on break is not advisable, take a pause and just stand or maybe lean in any of the branches around. Also bring some sweets and candies to keep the energy alive. It was already 1:00 PM when we finally reached the camp site. We got a little bit lost in the last phase of the hike as we couldn’t find the trail anymore. We could only hear sounds coming from the camp site so we just followed it. 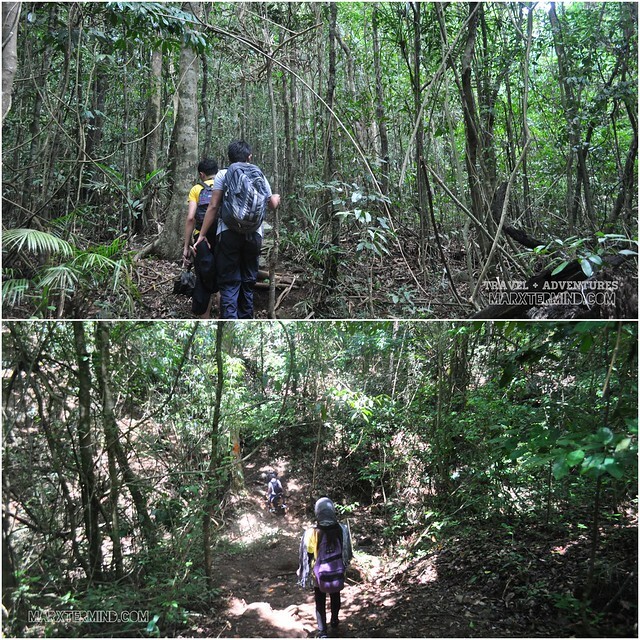 When we exited the forested area of the mountain, the view of the summit suddenly greeted us. When we arrived at the campsite, I immediately looked for the monolith. My friend told me that we still needed to hike more to get to that area. We were all discussing whether we should go or not but the adventurous in me came out as I bravely said yes we should, we’re already here so what was stopping us for not to go. But before we proceeded, we took a little time for picture taking at the base camp. And group shot will always be part of the trip. We also had some snack first at the sari-sari store near the camp area. They sell cold drinks. Then, we moved on and started the hike again going to the Parrot’s Beak. 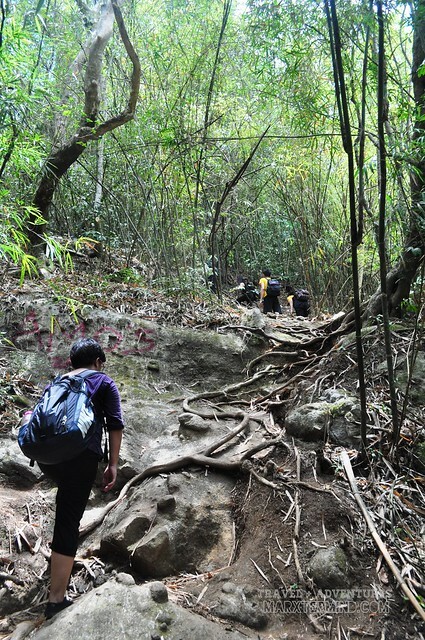 Compared to the first part of our climb, going to the Parrot’s Beak was harder. 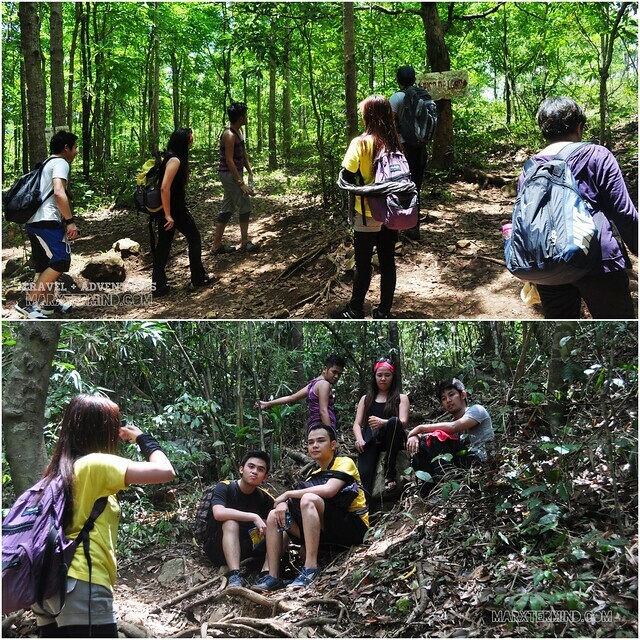 We had to endure a steep trail under the scorching heat of the sun. There were only few branches so we had no choice but to crawl. Good thing there were small grasses that we held on as we climbed up. It took us 30 minutes to get on top but it doesn’t end there as we still had to get to other side where the Parrot’s Beak is. 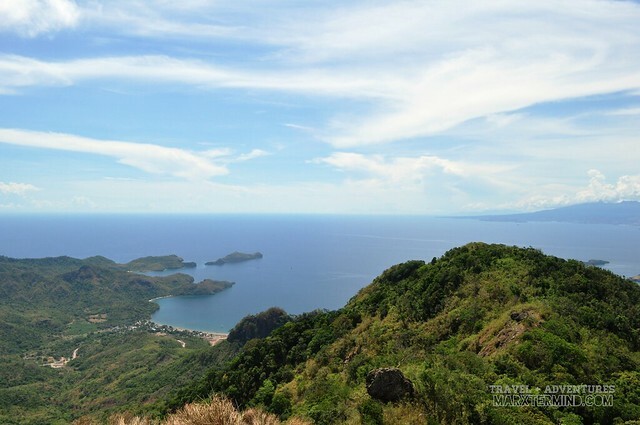 But the overlooking from the summit is already an amazing sight that offers a 360 degree view wherein the other side is Batangas while the other side is Cavite. I was also able to see some small coves and few small islands. I wonder what places are those. Without wasting more time, some of us and I went to the Parrot’s Beak. It was another steep trail and the most difficult than the previous. Well the goal that encouraging us to continue is to have that epic picture on top of the monolith. Wouldn’t it be nice and feel boastful that we conquered it? Robbie was so competitive that he went alone ahead of us. Now, that’s a tough one to beat. Getting to the monolith was really difficult and dangerous. 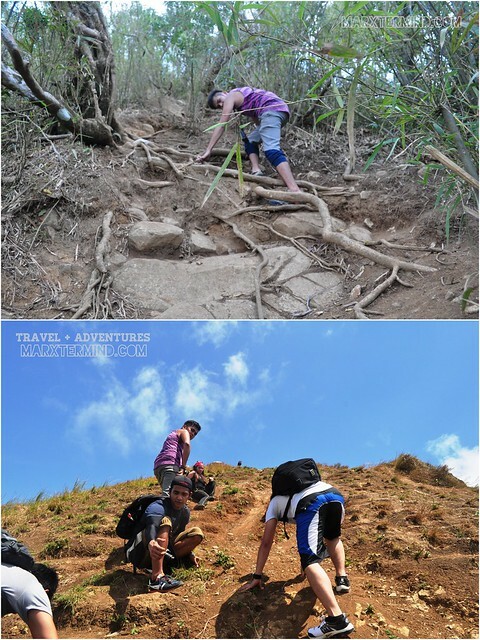 We trek through the steep trail, rocky edges and deep chasm. Good thing there was a rope that helped us to reach the top. If there ain’t one then reaching it could be so dangerous and risky. After that exhilarating moment, I couldn’t believe that we made it. Seeing the monolith from the summit is already an ecstatic moment for me but getting there is so much exciting. And the view was more spectacular, indeed. I wanted to stay a little longer but after capturing few shots, the group decided to leave and go back to our friends. I didn’t imagine that going down from the monolith was harder but it was. We were glad that the other group who helped us to go down. It was steep and there’s a deep abyss. Seeing it made me felt scary. Thank God, we were all still in one piece when we arrived back to the camp site. It was around 4:00 PM when we started to descend. We arrived at the drop off point at around 6:00 PM. All were safe and sound. We took our showers then left DENR after an hour. We took our dinner along our way and finally reached Metro Manila at around 10:00 PM. Thank you Robbie for inviting me. Hi sir, meron po ba kayong contact ng hinire niyong van? And magkano po? Thanks po! Hi po! I'll be organizing a day hike tour to Mt. 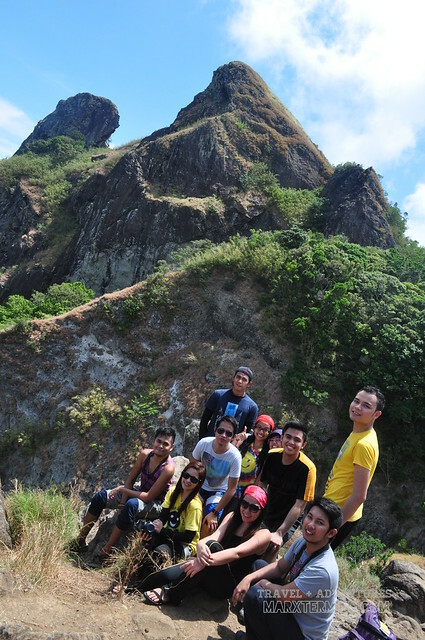 Pico de loro, though we are having a problem bec. we dont have a tour guide, since there's none naman talaga based on all the blogs that I have read. Can you be our tour guide na lang po? I'll provide you the details, once you email me. 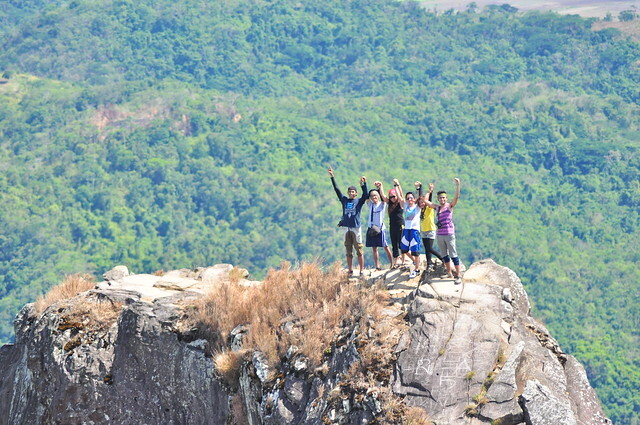 i will go back to pico de loro this march 15, any one who wants to join? Beautiful shots sir!!! 2 thumbs up for you, we'll be going there on march 1 and 2 and I hope it woukd turned out the same as your group experienced here..It's a free climb…anyone can join. kaya po ba to ng mga First timers like me? Planning to go there on March.. WohoOo. I still need some courage to climb than Monolith! I believe you can go to the DENR office there anytime. I don't recommend it, it's going to be hard to trek. 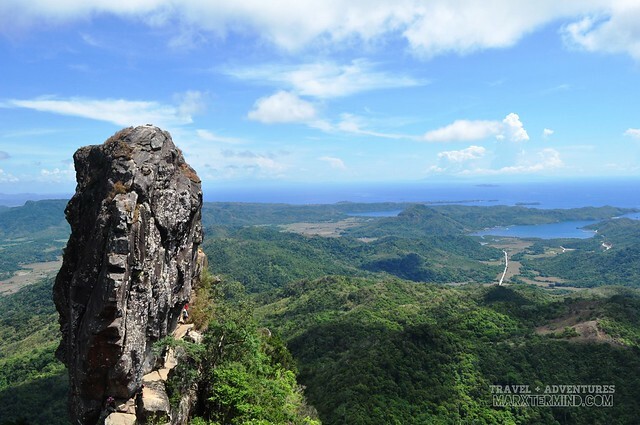 Would it be saFe for 7 year old boy to hike Pico Dr loro? Thanks! 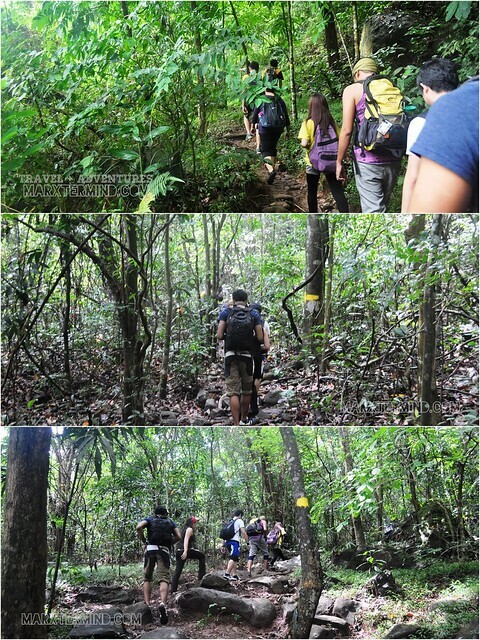 Sir would you like to join us this Sep 21-22, we planned to stay there overnight..
Can anyone go and hike pico de loro? The toughest climb so far. 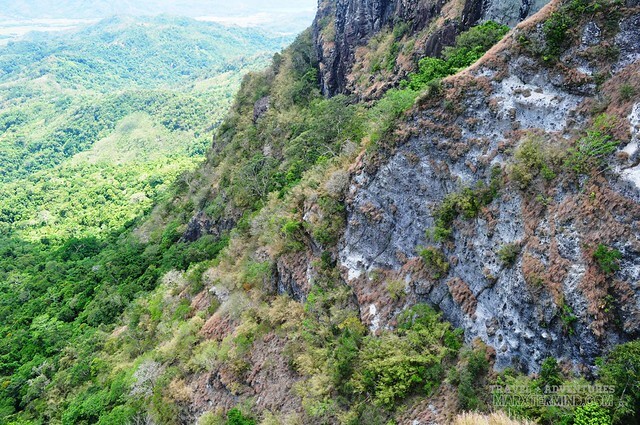 Gusto ko din sumama sa mga ganitong hike Marx.. pero first on the list talaga is Pico De Loro.. hay, kelan pa kaya yun. 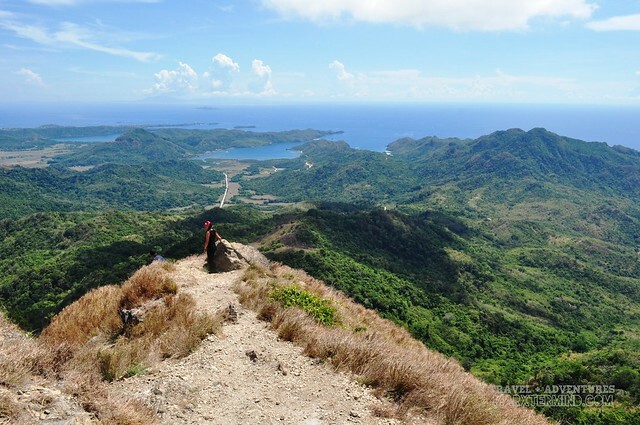 I should be more inclined with bloggers who love hiking. 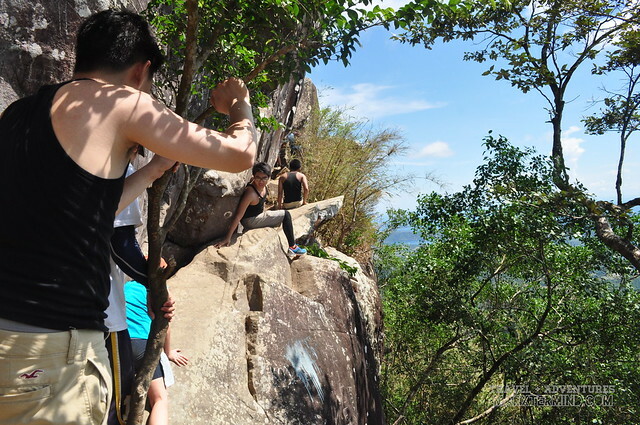 I got invited to climb Mt Pico de Loro few weeks back. It just didnt fit my schedule. reading through your post made me realise what I missed. Haist! Ganda ng mga kuha mo Marx! Ang linaaaaw ng quality. Salamat talaga dun sa picture mo sakin sa taas! Hehehe. Grabe grbe ang gnda ng kuha sana ma invite ako sa mga ganitong lakaran ang ganda tlga ! Saludo na ako sayo!